As you all know by now, I love to buy hats. 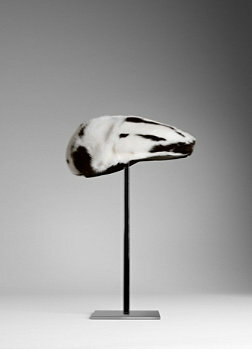 This fall, I'm eyeing on the Burberry Prorsum jaguar mink fur cap featured on the runway and campaign. Luxe and warmth can be achieved this winter with a few clics on Burberry.com and $1600+ later...sweater, coat, pants and boots not included. Maybe Zara will come out with a similar design for $39 + tax?